Which works? Donuts (L) or Volcanos (R)? 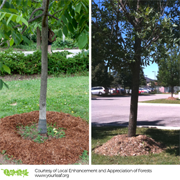 Donuts, not volcanos—that’s the correct application of mulch that will not damage tree trunks. Mulch, or organic material like wood chips or straw, improves moisture levels and suppresses weeds. 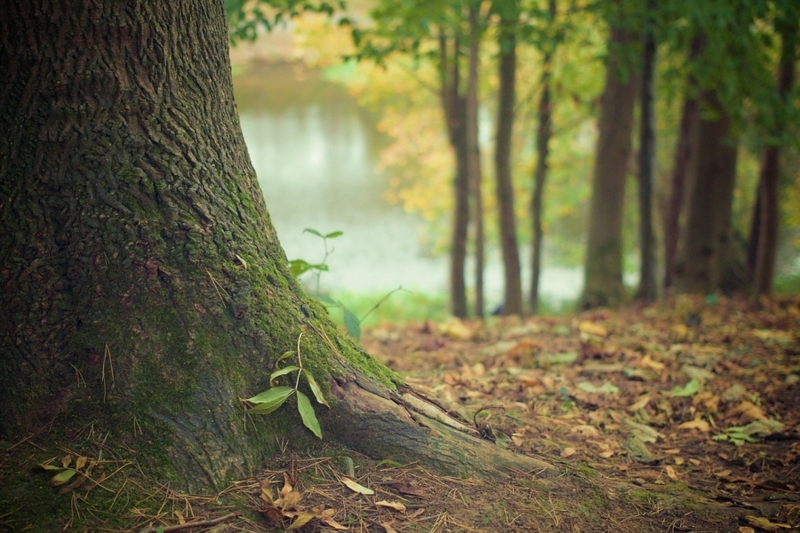 However, pile mulch up against a tree trunk and moisture will build up and make it easier for pests, bacteria, and fungi to damage the trunk and undermine the tree’s health.